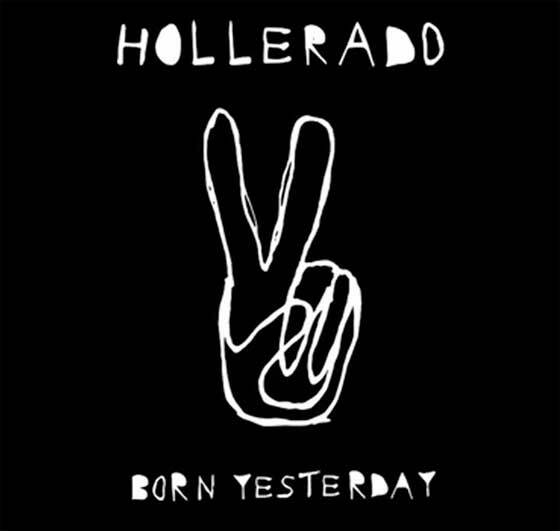 Hollerado aren't exactly known for writing pop songs, but the Ottawa band's new album, Born Yesterday, features one of the most radio-ready rock songs of the year: "Don't Shake." That tune starts off with finger-snap percussion, faintly throbbing guitar fretting and front man Menno Versteeg's husky but subdued singing about finding someone to love. The chorus features the shouting, punk-y singing that has become Hollerado's trademark, but ends with a swanky guitar lick and surprisingly smooth phrasing from Versteeg about equally "steady hands." That versatility is thrilling, and it's showcased throughout the record: on the soft-loud to and fro of "I Got You 1"; the muscular percussion straining against the yearning chorus on "Eloise"; and the spare, staccato guitar intro on "Rollerskater," which contrasts with the full-throated sing-along "doo woo woos" on the chorus.